As the follow-up of this two-part feature on our very own Rafflesian Presidents’ Scholars, we feature Stephanie Siow Su Lyn, one of our previous vice-presidents of the Students’ Council. 1. What are your thoughts on winning the President’s Scholarship? The immediate thought that comes to mind is that I am, above all the other emotions that I am feeling at this point, grateful. I am thankful for many people – my family, teachers, friends (a shoutout to my class, the 31sts, bballers), boyfriend – and the list goes on. These are some of the people whom I have had the privilege to learn from and be inspired by. I find myself very ordinary; I never expected this honour. Consider the fact that I haven’t actually done anything for Singapore yet, and I haven’t even entered university! This is not an end in itself; it cannot be an end. Rather, I am grateful to Singapore for this opportunity, and will be mindful not to waste it, or the resources used to provide for my education. I am aware of the responsibilities that come with accepting the award. 2. There has been much talk recently regarding ensuring ‘different paths to success’ for Singaporeans. The more diverse and representative composition of this year’s PSC recipients reflect this shift in mentality. As a Rafflesian, what are your thoughts? If you’ve been following Our Singapore Conversation, recognition of different paths to success is one of the key themes that have been consistently brought up. I don’t fully agree that our more (and perhaps most, so far) diverse batch of scholars contributes to the idea that there are different paths to success, unless you define ‘success’ as ‘getting a PSC scholarship’, which clearly cannot be the case! 3. You were Vice-President of the 31st Student’s Council, a top scorer and of course – Basketball. How did you manage to balance all these commitments in JC? I was in the Students’ Council and Basketball. It was crazy! I made sure that I got my priorities right by drawing up schedules and making time for everything I had to cover. I didn’t have much free time. In whatever spare pockets of time I had (i.e. when I wasn’t supposed to be doing something productive), I lepaked and hung out with my friends! I pulled through thanks to God’s grace. In every tiring, discomforting or difficult situation I knew I could rely on God. My fellowship group in school met weekly to reflect and encourage one another and pray. 4. Upon leaving RI, did you have any regrets? My biggest regret would be worrying too much about what others thought about me, or the need to prove myself to others. I learnt along the way to do my best in everything, especially for the people around me, but I think that I placed way too much importance on that initially. 5. Last we heard from you during the release of the A-Levels results, you were offered a place at Yale – did you take it up? What course are you going to be studying? Yes, I’m going to Yale, and I’ll probably be majoring in Economics. I’m also taking courses in Public Health, Japanese and the Sciences. Thank God I’ve gone friends headed to Yale with me! 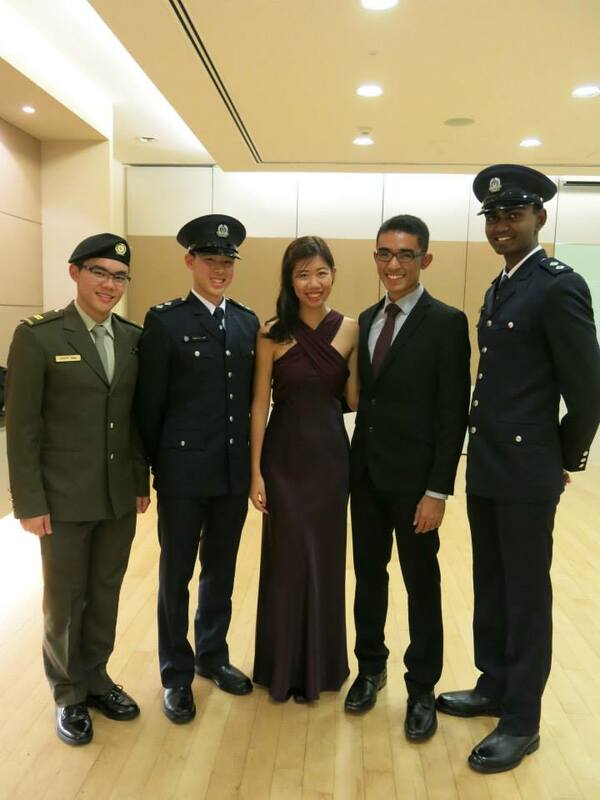 There are a couple of Singaporeans, including 3 Rafflesians in the freshmen batch. It’s always a happy occasion to bump into Singaporeans. Now that you’re in Yale, how is life different in New Haven? The anticipation of coming to the States wasn’t enough to prevent me from having any worries. I was worried – I didn’t know many people and had to find a new group of friends here. I would be homesick, and I wouldn’t be able to cope with the ton of academic work and extracurricular activities. Initially, I was right – it was absolutely crazy. But instead of letting my fears dictate my every move, I found people who have overcome them or who can overcome them with me: new friends. Counsellors, professors and peer liaisons. Things are settling down now, and I’m thoroughly enjoying my time here. There’s so much to learn from everyone. I would say to anyone starting college/something anew to not be afraid of change – you may end up leaving something behind but you’ll grow, and that’s when you really live. 6. Looking forward, what are your ambitions post-graduation? I’ll be serving the government in 3 different ministries for 6 years, but I don’t have any specific ambitions yet. I don’t know where I’ll end up in the next 10 years, though I am interested in working at specific ministries like the MSF and MOH. My aim is to contribute to Singapore, and add value to the system and wider community. As for other plans, I’d like to save/change the world! Volunteer and fight for causes I believe in. Serve God with my all. Travel around the world. Stare into my child’s eyes and smile and tell him/her I love her. Learn as much as I can, because I know that I don’t know much. Treat every interaction with another person as an opportunity to make a positive impact in their lives. Live life to its fullest and fulfil my purpose here. 7. Any last thoughts for Rafflesians who aspire to become student leaders and even PSC scholars? For student leaders – one of the 5 parts of a leadership model is “challenge the process”. Think outside of the box and don’t be afraid to try new initiatives and ideas, no matter which student organization or group you’re in! Treasure the people around you, for that’s what leadership is about. I think that the best leaders wear their hearts on their sleeves. For PSC scholars – consider carefully the entire career and role that you’ll be playing in shaping Singapore. Please don’t take up the scholarship with the only intention of studying overseas for free. Raffles Press would like to wish Stephanie all the best in her future endeavors, most especially in this new chapter of her life! This was a very inspirational read, thanks for sharing and answering the questions so candidly. Truly, I admire your ability to be able to juggle so many different demands and excel in all of them. I have been in the public sector since I started work and I can share the job is very meaningful. Look forward to your contributions & all the best to you and God bless.